You may be surprised at this Tysabri update if you've been coming to our site for awhile. When we first wrote about this treatment option for MS, we were very adamant about not wanting Cir to try it. Why? Because of the possibility of contracting PML (Progressive multifocal leukoencephalopathy) - a rare, fatal and at the time, irreversible, brain infection. (Link opens a new window on our site to one of our visitors who developed the infection). Well fortunately, over the past several years, doctors and scientists have been able to study this treatment and are now able to predict who might develop PML. If you are not at risk and you begin taking Tysabri, your risk goes up the longer you take it. Your doctor will test you regularly to see if your case has changed. 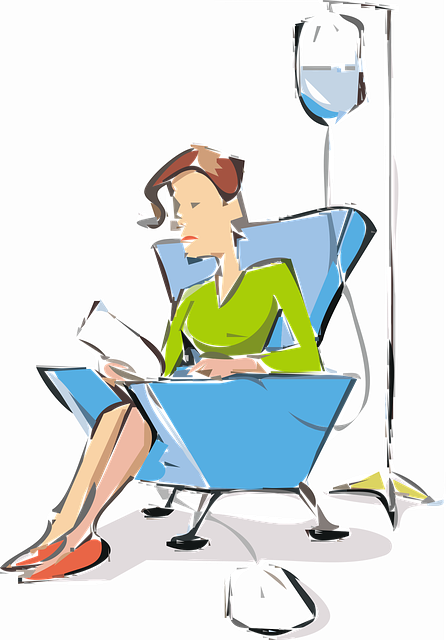 If you are still not at risk, you can continue taking the infusion. The possibility is still there, you say, so why did Cir change his mind about taking Tysabri? (Yes, he's taking it and he's had his first two infusions). To answer your question, he changed his mind after talking to several of his friends who have MS. They have been having very good results. Seriously. They've been walking better, symptoms are being eliminated, less fatigue - just overall feeling better, so definitely a plus. That's not the only reason, though. The main reason is the risk for developing PML is almost gone. Not totally, but manageable. The test that shows if you might get it are performed at regular intervals, so that if your levels go up, your doctor can take precautions and either watch you more closely or stop the medication all together. I must admit, I am still a little nervous. (I don't want anything to happen to my baby - he's been through so much already). I do believe the benefits do outweigh the negatives. The fact that the scientists have dealt with the risks so that your doctors will catch any changes in your health situation quick enough so that you don't develop PML, makes it a viable treatment. Soooo...., here we go! Yes, so far, so good. Cir is two infusions in - one infusion each month. The first few - I think 5 or 6 - infusions he needs to stay an extra hour (yes, the infusion takes an hour), to make sure he doesn't have any adverse reactions. Anything that might be an indication that he is allergic to the medication. The second infusion apparently is the one to watch. More often than not, if you are going to have a reaction it will be the second time. And thankfully, there was none. Yay! Cir's happy. He feels like he has more strength in his legs and more energy overall. Unfortunately, he's having problems with back pain and burning, most likely due to this wacky weather. Hopefully that will change in the next couple months. We will keep you updated on his progress and would love to hear from you if you take Tysabri as well. You can let us know about your Tysabri update as well. Even if you are still afraid to take it - hear what others experiences are to help you come to a decision. Even then, you will need to get tested first before you can begin. If you've been taking it for awhile, let us know how many months and if your experience is positive. We've met people who have been taking Tysabri from several months to several years and doing great. We're optimistic at this point. Are you? Let us know. Scroll down and use the form below. Want to learn more about Tysabri - go to their site here (opens a new window). Or read about it on our page here. Sorry for the shaky video. Just getting the hang of making them for YouTube, so bear with us on that - we'll get better, hopefully. And you can add your updates in the form below. What is Your Tysabri Update? Positive or Negative? Have you started Tysabri? How long have you been taking it? Good results? If not, that's alright too. Or are you trying to decide whether or not to take it? Your experiences with it may help others in determining whether or not they should ask their doctor about trying this treatment. Share your Tysabri Updates or concerns right here! Your page will appear on a Web page exactly the way you enter it here. You can wrap a word in square brackets to make it appear bold. For example [my story] would show as my story on the Web page containing your story. A little writing TIP: Most people scan Web pages, so include your best thoughts at the beginning in your first paragraph. Do you have a picture to add? Great! Click the button. Find it on your computer. Then select it. You will need to re-size any photo larger than 800x600 pixels using your graphics software or a Web-based re-sizer, such as Google's Picasa if you are a PC user or iPhoto's Export function on a Mac. Want to Read Other Visitors Tysabri Experiences? Go from Tysabri Update back to the MS blog.